Each year, over 4,000 pedestrians are killed in collisions with motor vehicles. 4,743 pedestrian deaths in the U.S. were caused by motor vehicle crashes. Hit-and-run drivers caused 19% of pedestrian fatalities. 14% of the people who died due to motor vehicle crashes were pedestrians. 30% of pedestrian deaths happened at intersections. 73% of pedestrian deaths happened in urban areas. 15% of pedestrians killed due to motor vehicle accidents were at least seventy years old. Children no older than 15-years old accounted for 18% or around 14,000 of pedestrian injuries. The driver is turning along an intersection, a parked car, or a garage. The pedestrian crosses a parked car while a vehicle is passing through. A vehicle is emerging from a garage or a parking space while moving backwards. The duty of a careful driver is not limited to other vehicles on the road. The duty includes care for other road users, including pedestrians, bicyclists, motorcyclists, and people using wheelchairs. Drivers should drive defensively and avoid being aggressive on the road. It is also important for drivers to be extra careful when they drive in areas where children are likely to be present, such as residential communities, shopping malls, school zones, and parks. The importance of this point is that children are typically unaware of their surroundings along with the potential risk posed by moving vehicles. Drivers may not immediately notice the children when they drive along the road. Parents should also teach their children about the risk posed by roads and moving vehicles. This is particularly true when it comes to walking along parked cars and intersections. 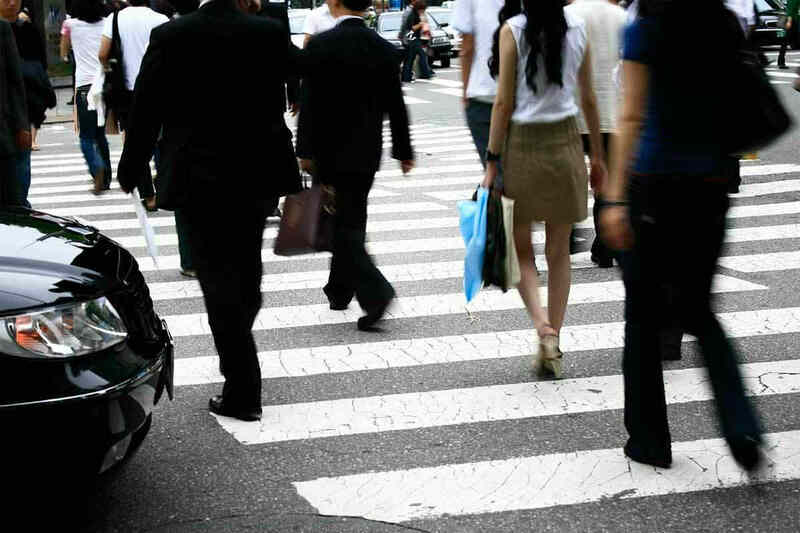 Pedestrians injured in motor vehicle accidents may receive some benefits under the law. These benefits include reimbursements for medical expenses and lost wages. If you have been injured in a road accident as a pedestrian, it is important that you seek help from an experienced St. Louis car accident attorney. Call The Hoffmann Law Firm, L.L.C. at (314) 361-4242 for a free consultation.